A noble vision to bring healthcare to India which is available, affordable, accountable, and appropriate to all, has started taking shape under the able leadership of Dr Ajay Rajan Gupta, Managing Director and Group CEO of Indo-UK Institute of Health (IUIH). Dr Gupta, a Consultant Orthopedic Surgeon at the NHS, is leading a team of UK and India based promotors with the support of the governments to bring the dream of high-quality but low-cost medical help to the vast population of India. 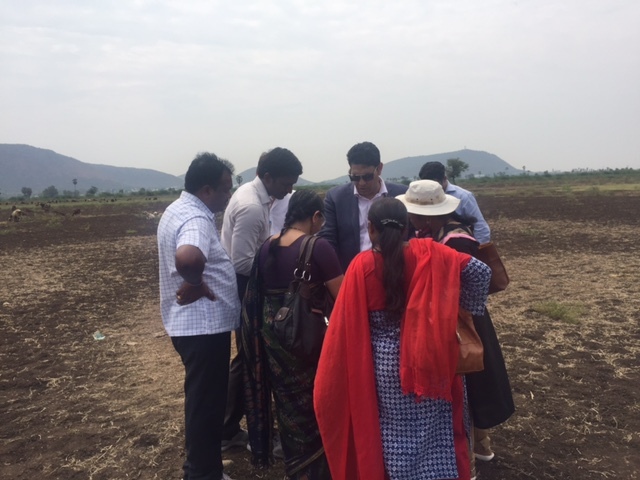 A worthy and challenging task saw progress being made in India last week when Dr Gupta and his team signed deals for land to start the building work that would provide an integrated approach to healthcare across India by partnering with the UK's best organisations in research, education and healthcare delivery. Their first project was based in Chandigarh. Dr Gupta's team has been working round the clock over the last 18 months to lay the foundations for their vision of the world’s largest and most exciting healthcare project. 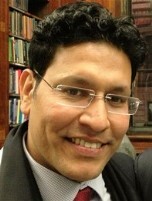 “I wanted to replicate the NHS model in India. The NHS is one of the world's best healthcare systems and my idea was to develop the world's best healthcare in the world's largest democracy, that is India," he said. Dr Gupta travelled across the country with his Commercial Director Richard Miller, Chief Investment Officer, Paul Davies and Neil Woodings from the PwC, meeting Amitabh Kant CEO of NITI Ayog, and senior officials at the PMO's office, Ministry of External Affairs and the Ministry of Health. “We cemented the progress we've made into an updated report covering the last 18-months which we presented at the PMO's office,” he affirmed. IUIH's final aim is to provide 11,000 beds, 25,000 nurses, and 5,000 doctors in a bid to bring affordable medical access to about 400 million Indians. In 2015, a joint statement was signed between Prime Ministers David Cameron and Narendra Modi of developing 11 Indo-UK Institute of Health Medicities. IUIH was established in November 2015, and the collaborative partnership was signed between the Prime Ministers David Cameron and Narendra Modi during his UK visit that year. The bond was reinforced during PM Theresa May's India visit in November 2016. The entire interview will be published in the upcoming issue of British Punjabis 2017.